On Hyundai Xcent :- Get Benefits up to Rs. 85,000. Offer Name : Drive Home Hyundai Xcent Special Pricing at Rs. 5.49 Lakh. Drive Home Hyundai Xcent Special Pricing at Rs. 5.49 Lakh. Excellent interior as well as exterior design. Loaded with lots of attractive features. 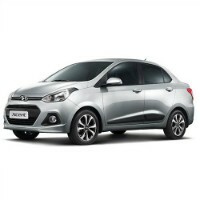 Hyundai has launched its Xcent, the first sub-four meter compact sedan which is based on Grand i10. It is available with both petrol and diesel engine options. It offers three variants such as Base, S and SX in six different shades. The petrol variant gets 1.2 litre kappa engine which can generate maximum power output of 83 PS and maximum torque output of 114 Nm. While the diesel variant gets 1.1 litre, 3 cylinder power train which can churn out the peak power of 73 PS. 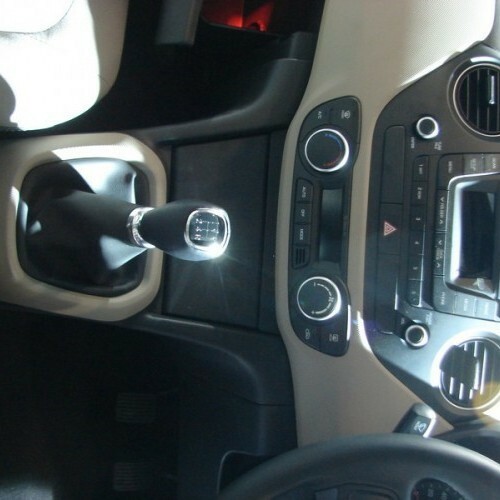 The both petrol and diesel engine options are mated to 5 speed manual gearbox. The petrol engine is also available with 4 speed automatic gearbox. The both petrol and diesel engine can return an ARAI certified mileage of 19.1 kmpl and 24.4 kmpl respectively. It is equipped with lots of attractive features. The top level trim, SX offers dual airbags, rear view camera, 14-inch standard alloy wheels and automatic climate control. 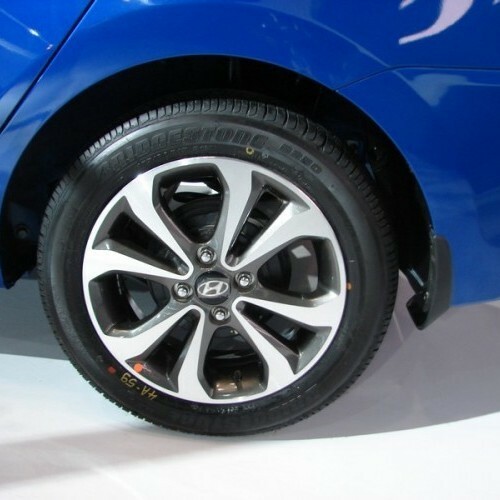 Hyundai also offers 15-inch diamond cut alloy wheels option. Steering mounted audio controls, USB, Bluetooth connectivity, music system with AUX and1 GB internal built memory are the important features of both S and SX variant. 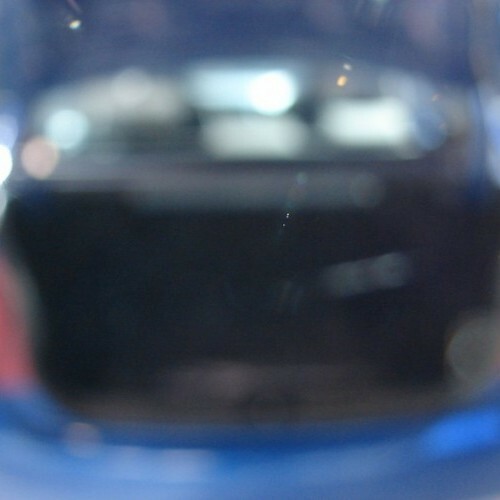 Cooled glove box is common for all variants. The Xcent is available at the price range between Rs.4.66 lakhs to Rs.7.38 lakhs. Hyundai Xcent is available in 19 variants. View below listing of variants based on their fuel type. Upcoming variants of Xcent are also listed here. * Prices of Hyundai Xcent car indicated here are ex-showroom price not the on road price of Xcent. Price list is subject to change and for the latest Hyundai Xcent India prices, submit your details at the booking form available at the top, so that our sales team will get back to you. Hyundai Xcent mileage mentioned here is based on ARAI test drive and not from Xcent review by vicky team. 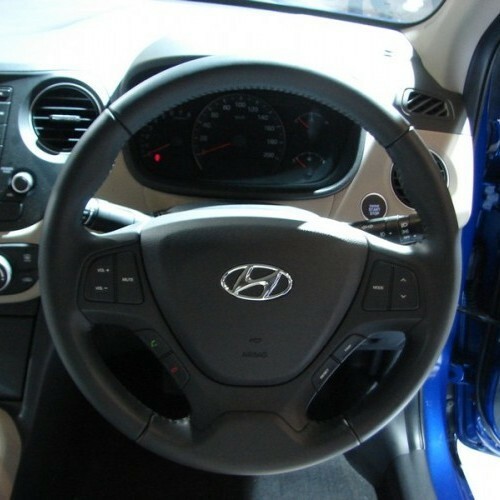 "The prime specs of Hyundai Xcent are listed here. The overall length, width of the car should give you an idea about parking space it require. The ground clearance (lowest part of the car to the ground) will give you the measure of water wading capability and confidence of Xcent's capability to run over potholes and speed breakers. However GC (ground clearance) won't tell everything. 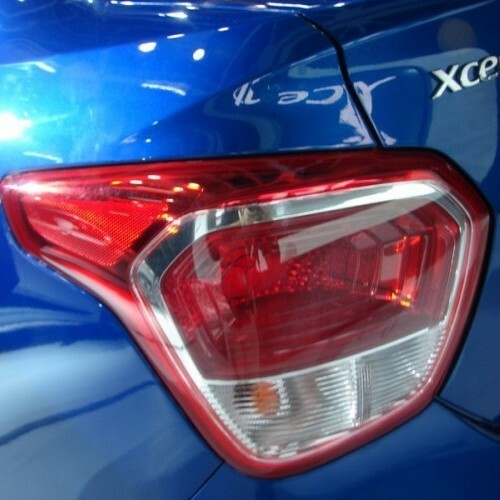 Other important factors like approach angle, breakover angle and departure angle is required to assess the cars' ability to run in rained indian roads and light off road tracks.Engine specs of Xcent are also listed here. With the power (in bhp) and torque (Nm) figures the most important ratios - power to weight ratio of Xcent and torque to weight ratio. The displacement (in cc) is the measure of cubic capacity of the engine. Earlier there was a notion, larger engines produce more power and torque however with the invention of advanced technologies this is no longer true." 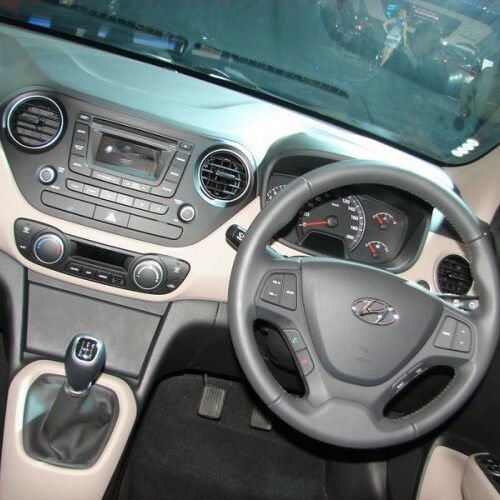 Find your favourite Hyundai Xcent car features list. While power windows, power steering and central locking are considered prime convenience features, the presence of safety features such as abs and airbags will give the necessary safety for the Xcent occupants. Alloy wheels is something everyone would love to boast about. I have purchased a Hyundai Xcent which looks like Grand i10 and it has a cool rear appearance. 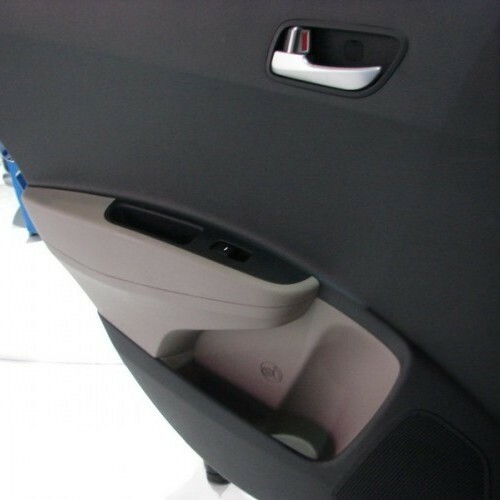 It provides best comfort while compared with Amaze and Dzire. 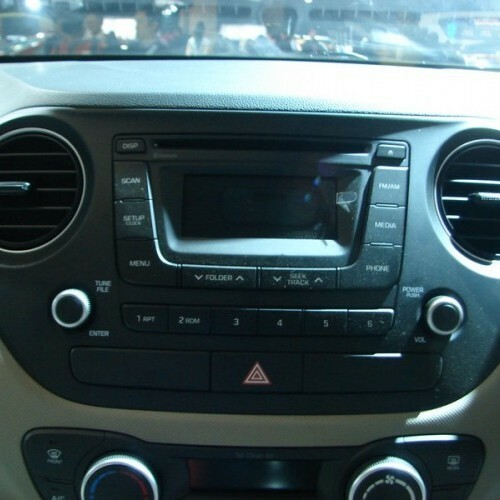 The Xcent provides a decent pick up and mileage is around 18-19 kmpl with AC on. 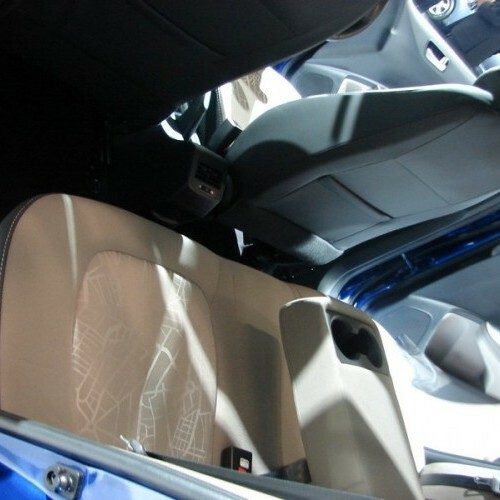 The interiors has been designed with plenty of features which is quite exciting. Overall, it is very fun to drive. I am one of the unhappy owner of Hyundai Xcent. Actually it is a decent looking car which is very spacious and easy to drive but I found that the brake pedal got harder after two three pump in heavy traffic and while reversing also. Apart from that, the ride quality and handling of the vehicle is fine. If the company has taken steps to improve its braking system, definitely it would be the best.